For over 60 years, U.S.Art has worked with galleries of all sizes across the United States to assist with international shipments. 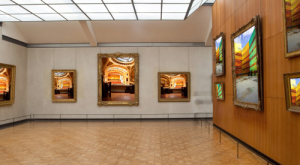 Recognizing that cost and timing are of paramount importance to gallery clients, our staff is specifically equipped to handle the specialized international shipping needs of galleries at all service levels. We are set up to work with you on everything from a single object “pack and transport” to complicated moves of large collections. The scope of our international and domestic network provides enormous efficiencies that allows us to provide services at extremely competitive rates. You also have the advantage of utilizing the same network that our museum and auction house clients use. U.S.Art coordinates and is responsible for all scheduling and transport while working with our worldwide affiliate staff to ensure that every aspect of your shipment comes together seamlessly. We understand the specific needs of the gallery client and provide you with all the services needed for safe international transport in the most cost effective manner.